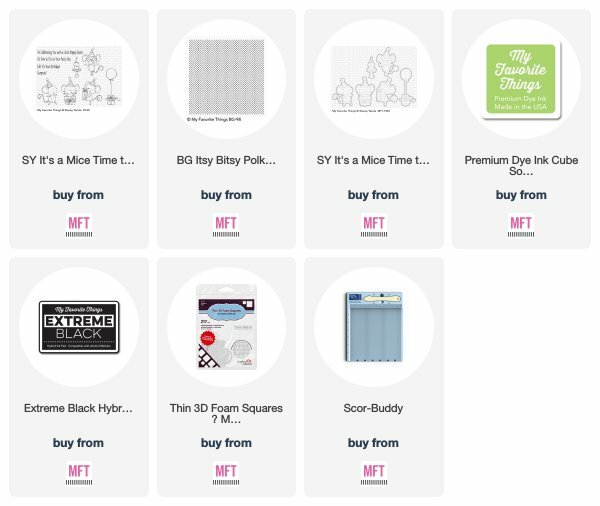 Today MFT team and guest designers invite you to celebrate our new release! Aww..I'm swooning over these mice! So much fun! 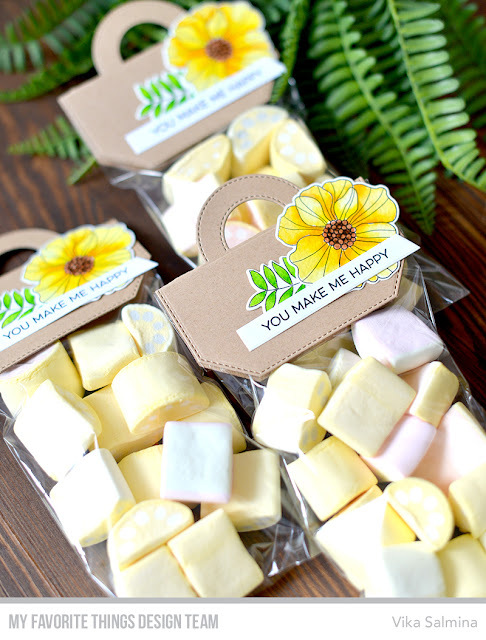 Love the cheerful happy colours you used! This is so cute! I love these little mice. Great colors! I love the cheerful colors you've used on this card! Too cute! Thanks for sharing! This is super, super cute. Your colors remind of spring. Almost here! Darling card! These little mice are so precious! Great color combo too! So cute and adorable card. Love your design and the colors. Super cute card! Love the colors. So sweet! And very interesting too. OMGoodness, just an absolutely adorable card! Oh my, your little mice are so sweet! Such a fun party scene, and beautifully colored images. Cute mice and cute card. Great release! 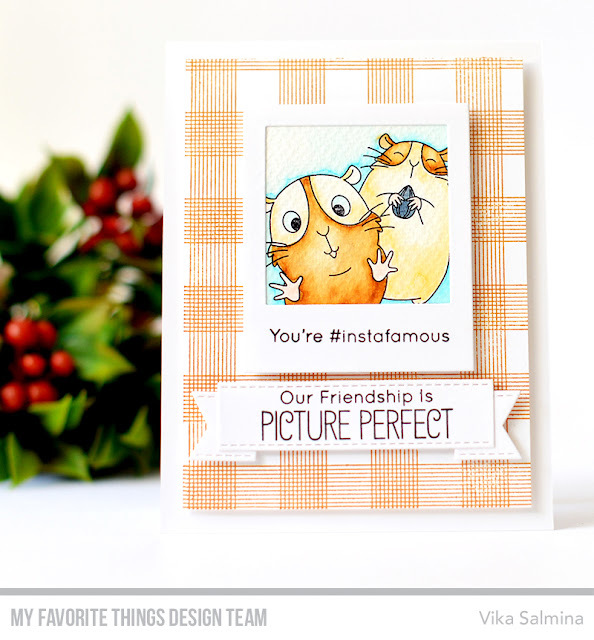 I adore those little mice & your card is adorable!! These mice are so stinkin' cute!! You colored them up fabulously! Your card is adorable!! I love these little meeces to pieces! Your choice of green & yellow with the gray is so fun! Love those mice, they are adorable! Darling mice! I love the green and yellow! I love the colors you chose for your adorable scene. Such a wonderful stamp set! LOVE the way you colored those mice! They are just adorable! Delightful card! I love these little mice! Your color scheme is really bright and clean, and the scene is adorable! This is adorable! Love the color combo. Thanks for the inspiration! You did a wonderful job of showing off the fabulous mice! This is a super cute card. I love the color combo. delightful card - LOVE the colors!! 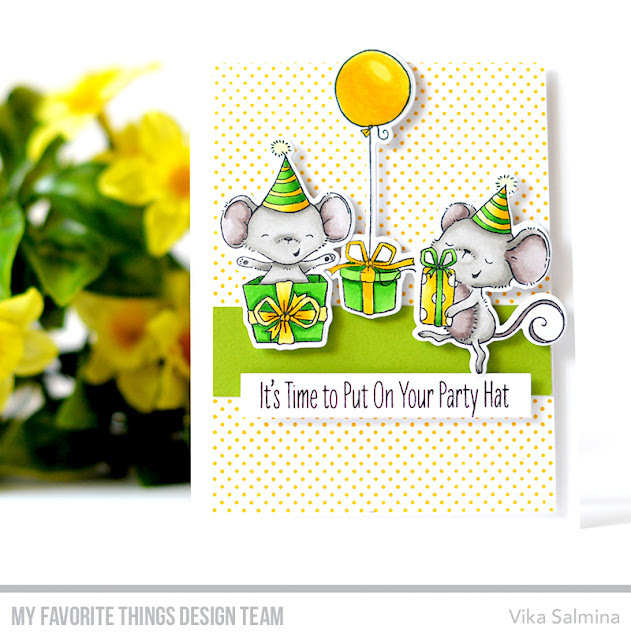 Oh, these fun party mice in lemon and lime!!! Fab! I'm ready to party. Cute card. The mice are so cute! Adorable card. Such a cute card. Wish real mice were this cute and fun. This is just adorable! The mice are super cute!! Oh these little mice are adorable! I love Stacey's designs! Beautiful coloring on the critters, and the simple color scheme of the card is so bright and cheerful. Sweet, cheerful card! Love your colors and coloring skills! Awwww, such an adorable card! I love the colours you used! I really don't like mice...but your card is too cute! Those mice are soooo cute! Love your card!! SO cute! Those little mice are so happy and sweet! Great colors and design! Oh, these mice are so cute. Love the colors of your card. These mice are adorable and I like the cheery colors. Perfectly wonderful and sweet card! Gorgeous coloring and such happy colors. I'm always happy to see someone use Stacey Yakula's designs! And I love the limited color palette. Also, your coloring is so lovely. Thanks for sharing! So cute! Love your coloring and the layout - such a cute little scene! !